Online writing jobs are some of the coolest ways to make money online especially if you have a flair for writing. Writers are always in high demand, as Bloggers and webmasters require fresh contents to keep their Blogs/Websites updated and also make their visitors engaged. In one of my previous post, I discussed about how you can earn money and make a living online using your writing skills. Now in this post I am going to teach you how to find online writing jobs that pay, and also list out guidelines as to how best you can maximize your online earnings from writing. The best part of this post is that, i will list out the names of actual companies/platforms where you can sign up and find online writing jobs that pay. Each of these platforms it’s own terms and policies so make sure you read and understand them before you apply. Also Read : Top 10 Freelancing Websites To Earn Money From In 2019. WriterAccess should have been top on the list if it wasn’t for the fact that they accept only US based writers for now. The application process is a bit stressful, but the advantages of working for WriterAccess certainly outweighs it’s disadvantages. There is always plenty of work on the site and you can pick up to 5 orders at a go depending on how many orders you have completed so far. This is especially useful for those who have a number of writers working under them. The orders rarely go through an editor and the approval process is much faster and clients hardly ever request for revisions. Payment depends on the level assigned according to the quality of the sample used during the application process. Upwork ranks among one of the best platforms to find online writing jobs that pay. Very similar in structure to Fiverr, writers can bid for writing jobs on Upwork, and the more jobs you successfully complete, the higher your ratings. Creating a user profile on Upwork is free, but you have to verify your profile afterwards. Writers can cash out their earnings on Upwork via Paypal, Payoneer or Bank Transfer. This is perharps the best place for a beginner to start his article writing career. With associated content, you get to choose your own topics to write on. If it is specific enough, you will be offered a sum of money. It is left for you to accept or reject the money offered. Denying it would lead to your articles not being published. As a beginner I would advise you to accept anything you are offered so as to get published articles behind you for better paying jobs. Under associated content, there are two payment options to choose from. You can submit your articles as exclusive( that is you give up all rights to the article and cannot publish it elsewhere), or non-exclusive (i.e you can republish the article) However you should also note that Exclusive articles earn more than non-exclusive articles. There is also option of choosing upfront payment or performance based payments only. Upfront payment means your articles will be reviewed for payment immediately. You may be offered a certain amount of money or you may be asked to resubmit it for performance payments only if it is not specific enough. If you happen to choose performance payments only, you will get paid based on the number of people who view your articles monthly. Though the money is not much, it still serves some purpose. This is one of the most reputable and best article writing sites and one of my most preferred. Demand studios contracts with other companies that are looking for articles. They then post the assignment by title and you get a chance to claim them. They pay quite well and their payment scheme is based on per article submitted. That way you get to know what you will be paid even before accepting the article. 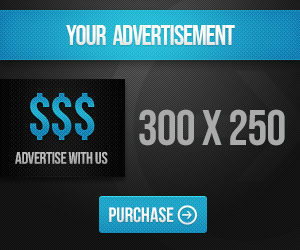 With this site you could make a minimum of $300 weekly. Before you can be accepted by demand studios, you will have to provide links to previous articles. Once you claim a topic with demand studios, the stipulated time frame given for completion is 7 days. If you happen to change your mind at anytime, you can un-claim them and they will go back to the topics pool. You could also suggest topics after establishing grounds with them. All payments are strictly through Paypal only. Payments are made every Friday of the week and they are very prompt too with their payouts. Vivilia is another cool platform where writers can find online writing jobs that pay. Getting started on Vivilia is easy, all you need do is sign up and create your portfolio. If you have any previous working experience, you can also upload to make your profile look impressive and attract big brands and media who look for professionals like you to work with them. Writers on Vivilia are paid via Payoneer, Paypal or Bank Transfer, and one impressive feature which makes Vivilia stand out is that writers have the flexibility of choosing to work part time or full time. However, one thing you ought to know about this platform is that, the better your writing skills, the higher you charge and earn. DesignPrefix.com – Get paid within 30 days to write about Photoshop, CSS3, HTML5, jQuery mobile, WordPress and any CMS. CopyPress.com – $30 for 500 words. Greatcontent.co.uk – Payment is around £3 – £5 for 500 words. though it requires plenty of work. Top 10 Freelancing Websites To Earn Money From In 2019.